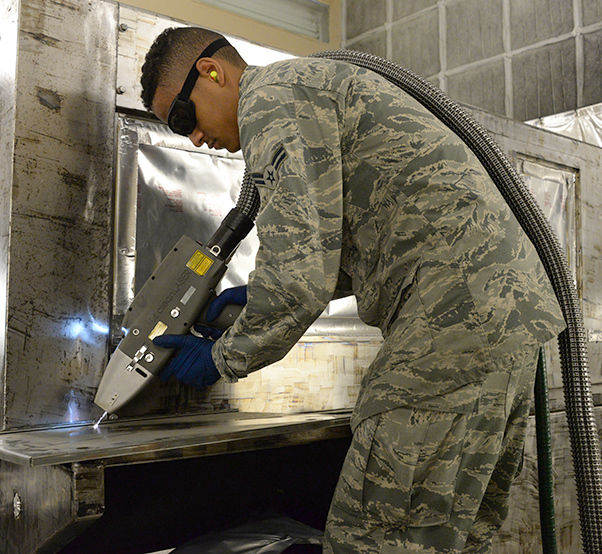 Airman 1st Class Levi Gordon, 60th Maintenance Squadron aircraft structural maintenance, uses a Clean Laser 1000 to remove paint from a sheet of metal March 7 at Travis Air Force Base, Calif. 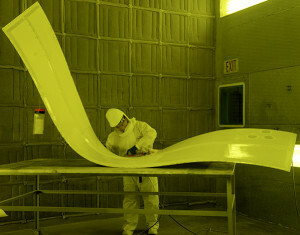 The 1000-watt laser can remove paint and corrosion. 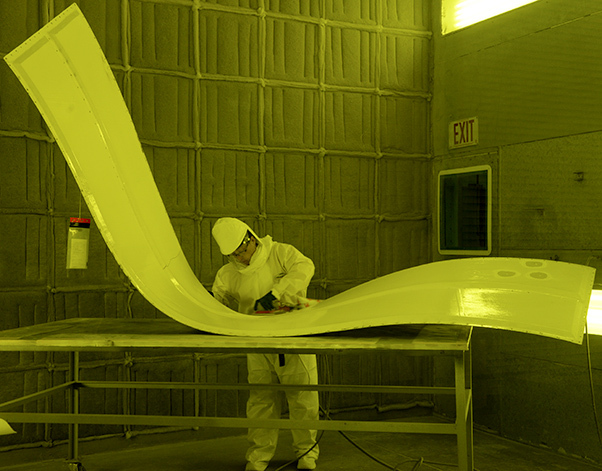 It reduces the waste created from sanding paint by 90 percent Travis was chosen as one of two bases to test the capabilities of the laser. As Air Mobility Command continues to answer the secretary of the Air Force’s call for innovation, Travis Air Force Base, Calif., looks toward the future by making innovative use of lasers in the 60th Maintenance Squadron, increasing efficiency. The 60th MXS is one of only two bases chosen to test the Clean Laser 1000 and the Clean Laser 300 as a new way to remove paint and corrosion on aerospace ground equipment. This important difference creates a safer and more efficient way to navigate deep-rooted corrosion in equipment. Another improvement is a decrease in the amount of waste by using a laser versus a hand sander. 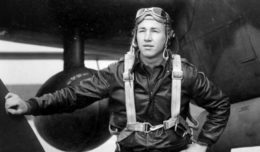 Tests were performed to ensure the correct personal protection equipment is worn. Kathy Fruits, 60th Maintenance Squadron aircraft structural maintenance, uses a sander to remove paint March 7 at Travis Air Force Base, Calif. The suit is completely air sealed and hooked up to oxygen in order to protect her from harmful paint chemicals that are released during the sanding process. The suit is not needed while using the Clean Laser due to the reduction of sawdust and airborne debris. The tests resulted in another improvement when compared to the hand sanders. The lasers are currently being used on all support equipment for the airframes at Travis, such as air conditioning units, hydraulic carts and the -86 power generator, which provides power to the aircraft. These same tests are currently being performed on old panel from a C-5M Super Galaxy. Travis continues to show leadership in AMC innovation, as March 5-7 the base hosted representatives from each major command in the U.S. Air Force for an innovation summit focusing on the implementation of the Air Force’s innovation ecosystem at various bases across the Air Force.